I find this discussion very interesting. It might have potential. I started a new thread not to hijack Bill’s. I’ll get back to you as soon as my index finger warms up. I don’t know any people that speak Swedish but lots of Estonian and Fin up here. So much so and the two languages are mutually intelligible that we a Fin section in the public library. I grew up in a home built by an Estonian man and he left a note in the wall. A native Fin speaker was able to translate and we learned his story about escaping from free Estonia during the Soviet annex. Fins as the joke goes do not speak much at all. Very quiet and to the point. But they do like to swear and I learned a lot of that growing up. One phrase to put it nicely was " excrement face ". No one noticed but me HA HA. But many of those words have woven their way into common use up here. I know an old Finnish man up the road that does not speak any french but he will curse in french because he learned it from the miners in Northern Quebec. Best slip up I ever had was at one of my son’s football games. I always Bring a dogs. My female dog was young and still in training and I trained her in English. Well these was this very well dressed blond woman not far from where I was listening to me call my dog a Bad-Stupid female dog. I just had to look at the expression on her face to realize she knew what I said. In the late 60s, early 70s a lot of Finns moved here. I grew up with a lot of their kids, who naturally used both languages. They talked Swedish with us but Finnish with their parents. Finnish being a completly different language, with no similarities to any other Nordic language, most never got rid of their accent. Also when swearing they always used Finnish, which has a lot more bark to it. I guess they found we swore like wimps So, that kind of words are about all the Finnish I know. I guess you’re right. An Estonian man lives in my village. I remember he was able to talk to my Finnish friends when we were kids. From what I understand it goes back hundreds of years from when people wondered up from Hungary through the Baltic states to Finland. No other countries use a similar language. Also I know Finland had no written language until 200 years ago. This is why their spelling is so easy. You spell exactly the way words sound. Scandinavian languages are more like far off accents. To me there are Swedish accents that are harder to understand then plain Danish or Norwegian. Lots of English, German and French words in our languages. Leaning more to German here and to English in Norway. Language travelled the other way too. Did you know the English word “window” is a Norse word? “Vindu” was the “wind-eye”, the piece of cloth in the very top of the tent (tepee?) you opened to let smoke out. In Swedish window is called “fönster”, from the German “Fenster”. I was aware that Fin and Hungarian came from a different language family. I know this because I had a Hungarian boss and in order to have fun with him I learned to swear at him. We were good friends though, it was all in fun. There is an older Fin couple up the road from me and Lena told me she speaks Swed. Her Joke is Swedish sounds like you have a mouth full of marbles when they are angry. English from what I understand comes from a common language with German a few of the western Nordic languages like Swede. So I am not surprised there are words like Widow-Vidu. When I was in school and I had a teacher that was a German man help me with English ( my mother tong is English ). He spoke several languages and Latin. In order to help me he would break down a word and explain where it comes from and how language is bolted together. He would effortlessly move from English to German to French and Latin. By the time he was done explaining how language and words fit together he had explained more than words but origins of language. This really helped me learn to spell and strengthened my understand. I enjoy this so much. I dont know if l ever mentioned before but languages are sort of a passion of mine. Haha on your sausage name problem, perhaps Slovenians had their fingers (or tongues ) between. Here a sausage is called (officialy) “klobasa” but at the region l was born at its called “kubasa”. “Kuzla blesava” or “kuzla čorava”, did the blond lady happen to hear something like this? This is exactly why todays teaching sistem fails so much. Teachers just preach how things are. No one explains WHY things are so! The saying “give a man a fish and he will not starve for a day. Teach a man how to fish and he will be fed for a lifetime” comes to mind. First word does not quickly translate to something I understand. 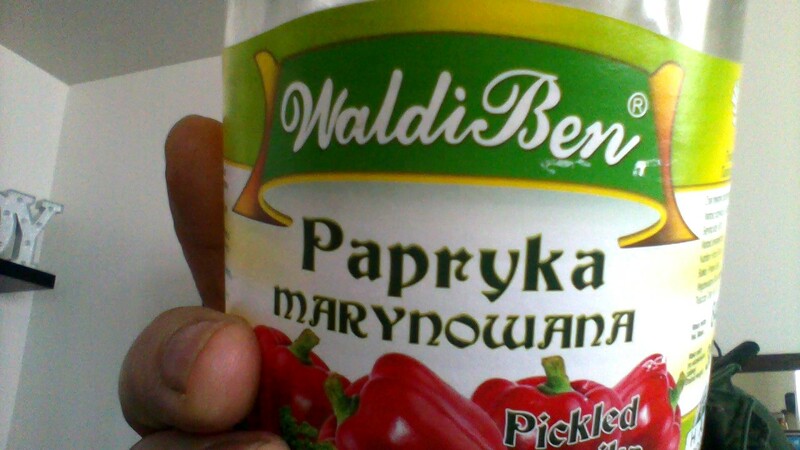 But the second makes me think of the polish word Kurwa. Its probably the same will run it through a translator later to be sure. I use that Kurwa a lot. Oh, on Hungarian. Hungary is one of oir 4 neighbouring countrys and while l can understand some of Italian, a bit more German and allmost perfect Croatian, l only know one word in Hungarian. Zsir (fat) it is so different with every language l know. Btw, @pepe2000 you are of Hungarian descent right? Speak any? Kuzla means female dog, beach. Kozel, yes, same in Slovene. Male goat. Not so fantastic of a beer, kinda watery. And its Czech btw. Another friend at work speaks Italian, but an old Northern dialect. Suka means the same thing thats the words I offended the lady at the football game with calling my dog a Stinky Suka that does not listen ha ha. You can get in a lot of trouble mispronouncing a word. Pika… Also a pike but not the same, its a pointy stick or spear. He notices people hear the accent and odd used of words and remark they they know he is not from Italy but his parents were. My boss Kornel and this other fellow Tibor must have the highest blood pressure in the world. Also he was a fantastic industrial black smith. He could make tools, forge and machine parts ect. The kind of mend and make do skill you do not see much anymore. Also initiative ideas like self sharpen plow blades he made by forging, tempering different hardness of steel. Vasil (василь) in Ukrainian starts with a character in that looks like B but makes a V sound. I watch your typing and see you sometimes use the W and V but mean to use the letter V in English for the V sound. Is that deer or doe or buck ? In polish or Ukrainian word for deer is Olen or Jelen. I need to go shopping and need some stuff for supper. Son wants me to make krumplileves for supper or broccoli and cheese soup. Off to the part of town where you have to sound out the contents on the jar to be sure of what you are buying HA HA. Your right now that I think about it Kozel is a Czech. I drink Tatra… its the cheapest beer you can buy up here, oddly it come half way around the world figure that out? Phew, you guys type fast. I can’t keep up. My posts get irrelevant by the time I’m finished typing. l only know one word in Hungarian. Zsir (fat) it is so different with every language l know. See? That’s what I was talking about. Funny how Hungarian and Finnish have no relation to the rest of the world’s languages. About swearing, all the words we’re using I can think of are related to either the devil or no2 parts. The valuable parts are handled with care. Polish truckdrivers coming to work loading, use the word a lot In Swedish it’s “kurva”, meaning simply curve, but it’s also an old fashioned word for a beautiful woman. I can relate to cheap beer from abroad. We have the huge Kopparbergs brewery only 80 km from here. People I know bring their trailer for vacation to Germany to buy that same beer for a better price because alcohol taxes are a lot higher here. Strange world. Well l guess this is a good time to apologise to all English speakers for my vocabulary. I know l make loads of mistakes (wife points them out while reading the site) and it is not my intention to slaughter the language. I am mildly dislectic and writing (among other things) can be a pain from time to time. Second, our language lacks Q, W and Y so l mess them up sometimes. Your memory amazes me. Yes! Srna means deer. But its impirtant to know our (and most slavic) language has a incredibly complex structure. “Srne” is plural. Its not like in English where you just have Apple and Apples. Haha you do sound like you are singing! Actualy we have a dialect that sounds or “flows” exactly as hearing you talk. The part l come from (the Alpes) speaks as rough and spikey as the mountains them selfs. On beer, its the same. We have our bigest brewery Laško about 30km from me, yet same beer is cheaper imported in from Hungary. Cheapest moderatly quality is Czech Kozel. 20€ for a 25 peace box. I am afraid this mess is FAR from all there is to it. For starters those forms are multiplyed with the 3 tenses. so unfortunately we learned just English, a shame for sure. We learned a couple of phrases like yakshamas (sp?) How are you? Dubra, OK.
Shedni sebra, take it easy,calm down??? I don’t know any French either, a real shame. for him. Wow, and we sometimes think we have it hard??? Not even close. Also I know Finland had no written language until 200 years ago. This is why their spelling is so easy. You spell exactly the way words sound. When in doubt double the letter. Most words have double something, except vihta. Yup you can get in lots of trouble with the wrong words in the wrong context HA HA. I am told Suka also sounds like Fin slang for a sock or stocking. This is a very funny film about that. You will need to find a version with the right subtitles. You can tell this is not a Fin film, you never meet a Fin that talks this much in real life! Kristijan your English is real good, probably better than mine, I need to spell check constantly and make a lot of mistakes. Things only get worse if I switch to french. I will almost never type anything other than a simple greeting to relatives because I will completely screw it up. Deer thing comes from this song. I knew the melody came from someplace and it reminded me of Anton Karas’s style on the Zither. I had an uncle who installed paper making machines around the world in the mid 20th century. He got in trouble from time to time because some english words turn out to be swear words in Finnish. Does anybody else have as much trouble deciphering Chinese attempts at translations to English as I do? In some to the non woodgas things that I do (messing with small induction heaters, for instance), I attempt to figure out what they REALLY meant and then rewrite it to save others from failures that could have been avoided, had the description/instructions been done better. Just a couple examples: The Chinese must not have a term for “transistor”. They call Mosfets “tubes”. “if fever” means “if it gets too hot”. Yep its a Slovene song allright. Laibach is actualy a German translation of Ljubljana, our capital. Under German ocupation all ourcitys and towns quickly got translated to better suit the invaders. About 30 years ago I bought a rifle for deer hunting. It was a Chinese SKS-56. The instructions were So bad you could not understand how you would take it apart to clean. If you tried to follow the directions I am sure you would not reassemble it as a gun. Probably it would turn out as something for sawing wood HAHA. Some years back we needed a part at the mine. Believe it was sent to two or three different people and translated several times using google. By the time the people who were to make the part got the message it made no sense.